So, I have this friend. She’s no superhero, nor super-human, but she does brave and amazing things. This girl will cook a meal and actually invite people over to eat. At an actual dining room table. And then there’s another friend of mine–she loves to throw parties and has been known to host her kids’ entire class, and make it fun, all while doing so on a small budget. And yet another of my friends has been known to host five families at once, including all the kids, and lived to tell about it– several times! These women inspire me. They’re brave, bold, and apparently fearless. What’s their super-power? A little thing called hospitality. 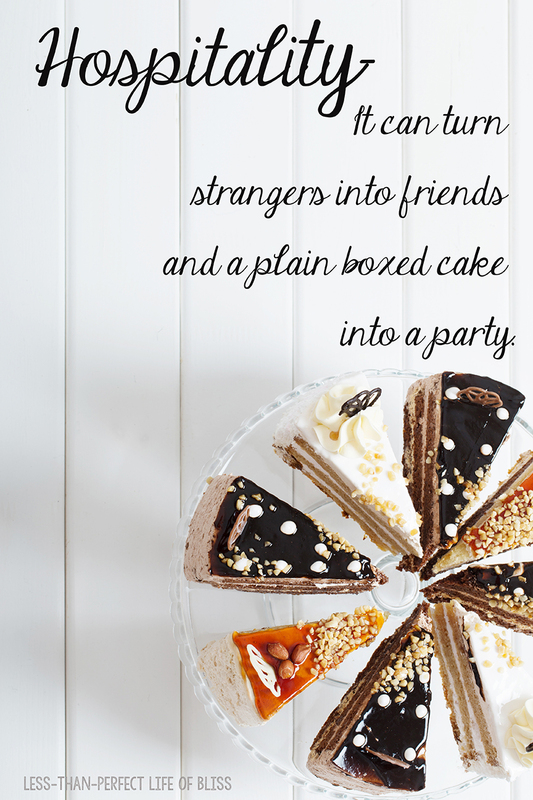 It can turn strangers into friends and a plain boxed cake into a party. So why are so many people missing out on what used to be a part of everyday life? Excuses. Fear. And (dare I say?) pride. We say we don’t have time. We say our houses aren’t good enough. We say it’s just not in our budget… or a 101 other excuses. But all of those things point to issues we hold within ourselves, and have little to do with what other people really feel. We worry about what those people will think about us or our less-than-perfect homes, when in reality, those people would would feel nothing but honored to be welcomed inside. It’s such a lovely gift to be invited. Well, today, I issue a challenge– open your door and invite someone to come in. Even if it’s just for cookies and milk, or popcorn and pop, invite them in. You can fuss over menus and placesettings if it’s your thing, but it’s really not about that in the end. It’s aboutopening the door of your home and letting someone walk intoyour life. It’s telling them they’re worth your time and effort. It’s releasing your own insecurities on behalf of someone else. You can do this. You can be brave. And just to give you a little extrapush, I’moffering a giveaway of a $100 Visa gift card to one brave little hostess. Are you up to the challenge? All you have to do to enter is commit to inviting someone into your homewithin the next 2 weeks. Yes! You can do it. Put to rest every excuse that just popped into your head and just say you will. Of course, I’mdepending on your honor to do what you say you will, but everyone that says they will accept the challenge by commenting here or on my Facebookpage will be entered! And on Fridayevening, I’llannounce the random winneron the Facebook page and they’ll have $100 to use however they wish! Buy the food for your event, use it for decorations, or buy some new plates for your table–whatever! I’ll even give you tips to help youplan if you need them. 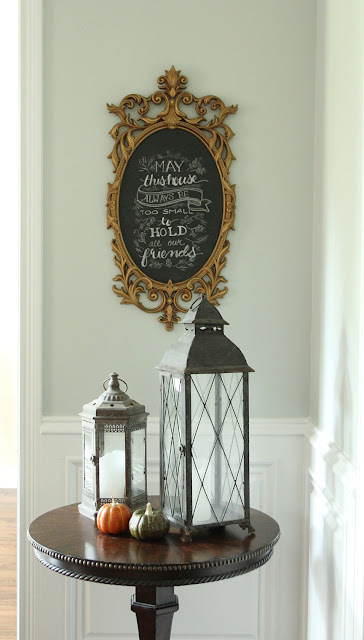 And as an added bonus, I’ve just chalked up a little inspiration for my own house. You can download the free printable here. And may this always be true of your own house! So, I want to hear from you! Who will be braveenough to put all your fear and excuses aside and just let someone in? What you’re sure to find out is that the person you’re treating is actually yourself. This entry was posted in Uncategorized and tagged Entertaining, Giveaway, Hospitality. Bookmark the permalink. Follow any comments here with the RSS feed for this post. Post a comment or leave a trackback: Trackback URL. « Pretty Preppy Party- September! Fall is here … I accept your challenge! I accept! I love it. Will you come over? I miss you desperately! I am honored to accept your challenge and I will be happy to post pictures of my challenge event! I love that you are leaving this up to your readers to be creative! Looks like we will have a football party to watch the Pats play…..
Best giveaway ever! Challenge accepted – so fun! Challenge accepted. I am hosting dinner for 3 families with a combined total of 10 kids. Should be exciting and eventful! Thank you so much for this Julie! 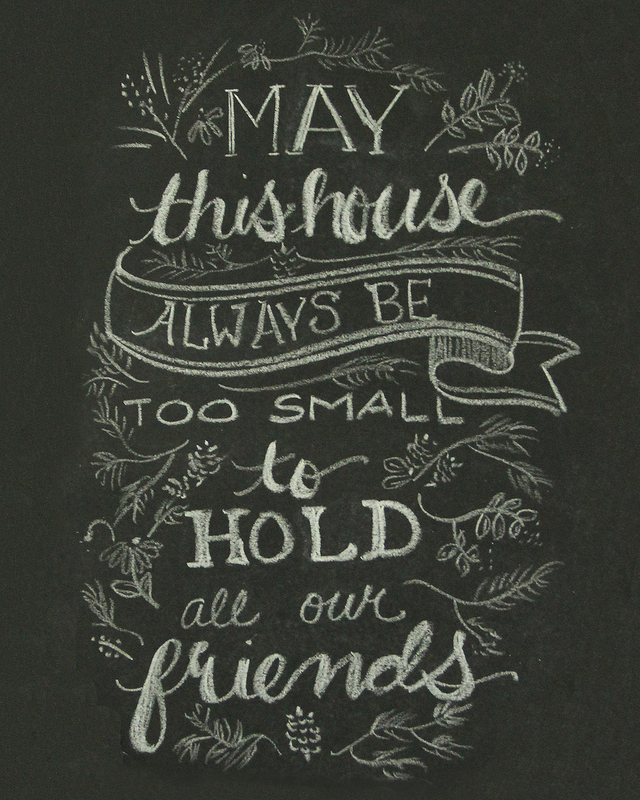 We LOVE to have people over to our house and we do it a lot! As much as I love to plan everything down to the smallest detail, the spur of the moment parties are always just as much (if not more) fun! Hopefully I can share this with some friends so that they, too, will open up their homes…maybe I will even get an invitation! Challenge accepted. I love this! I read recently to stop apologizing for any messes that might be there, because your guests aren't there for home inspection. They want to visit you and your family, and moving a laundry hamper off the couch in order to fellowship over a cup of coffee will go much farther than a home perfectly put together. Oh, yes, and I promise to open my home to others!! Challenge accepted! Seahawks 12th Man (12th birthday) party coming up soon! Challenge accepted to our 900 sq feet! I'm accepting the challenge! I stepped out of my comfort zone and had about 25 people over last weekend. I'm not a natural at hospitality so I appreciate this encouragement! Yes- I accept the challenge! So excited for this! I am having a family over for dinner and then a bonfire outside if the weather permits. They have recently left out church but we want to continue our friendship with them. 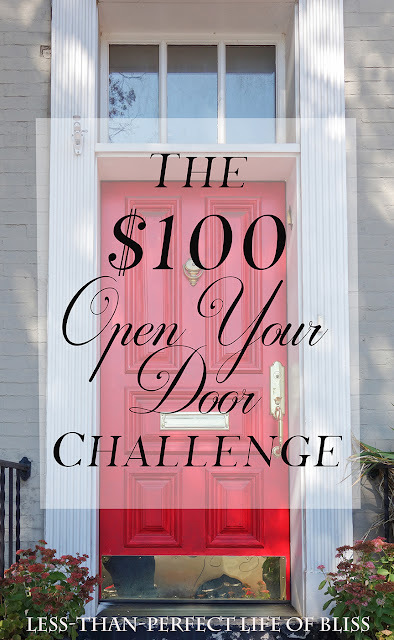 Great idea for this challenge-I love it! OK! I will try! No excuses and I will not be sidelined! Thanks for the challenge! I needed it! Yes! This gives me just the push I was needing to host the backyard bonfire I've been planning in my head for months. Now, come on cool nights, fall foliage, and enough friends to make it memorable! Great idea!!! That's what I'll do. . . This will be really hard for me!. New home. Not unpacked yet. I accept the challenge! Great idea! I would love to accept the challenge. Challenge accepted and I love the printable. Thank you for the reminder that it is about spending time with those you love and not about having the perfect home. I'd love to join this challenge! We are planning a family get together at our house soon, and I usually mildly dread these events because of the work involved. Your article us a great reminder to be more hospitable than worried! This is definitely something I need to work on, and I use all the excuses you listed, plus some. This could be the motivation that I need to put out the fall decor and do some baking. I'm in! If it's not to late I accept. It's something I wanted to do anyway.